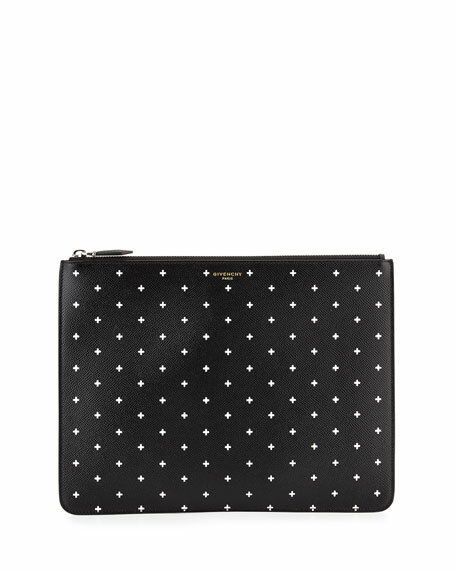 Givenchy cross-print calf leather pouch. Golden embossed logo on front. 9"H x 12"W x 0.3"D.
For in-store inquiries, use sku #1539071.